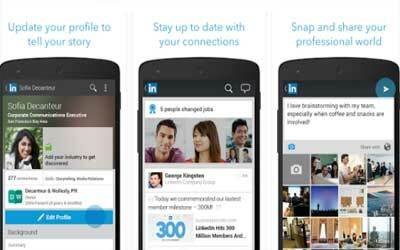 This is old version LinkedIn 4.0.55 apk for Android, you can install it if you want to downgrade or install old app. It is top Social apps from LinkedIn. Moreover, on the message page you can see some messages with the preview of sender’s name and photo, date, and first some words from the message. It helps you to decide the most important message to open. Besides, there are still many features that make you easier to use and this application. Furthermore, there are several benefits you can get if you use LinkedIn. First, you can make your online professional profile and build the network with the other professionals and companies. It is the best way to demonstrate your ability through the post you send on the answer part of the page. Second, you can know many professionals. Besides, through the group where you join in, you can discuss a certain topic to get more connections from other professionals. The last, through LinkedIn for Android, you can find new relationship, know someone’s profession, and find the right company that suits to your profile.